The city of Vancouver is unique in it's placement of land between the outlet of the Fraser River and the incoming Pacific Ocean meeting in False Creek. This tract of water surrounded by downtown Vancouver and Granville Island connected by the Granville Island Bridge there is a beautiful venue right on the corner of the land overlooking Granville Island called the False Creek Yacht Club. This stunning glass surrounded wedding venue has hosted many luxury weddings over the years and is a much sought after place to host your family and friends as you say I do to your favourite person in the world. With majestic views of the city and spacious rooms with which you can decorate with florals until your heart is content this event space can fit the need of any wedding up to 150 guests. Perfect for stand up cocktail receptions you can see all the way to english bay. 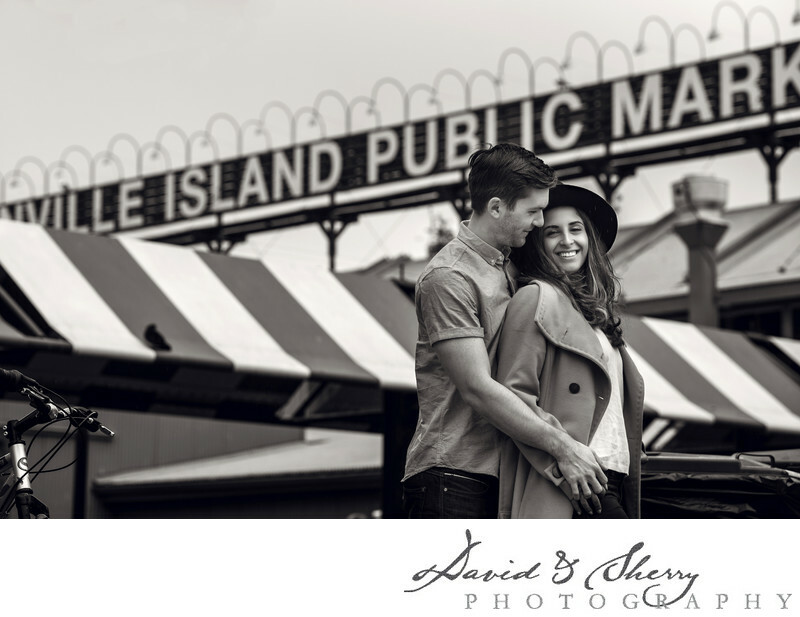 We will often take our couples across the bridge to the waterfront area of Granville Island so as to get a unique feel to the photos in this artisanal community known for it's wonderful people. We absolutely love it down here. The False Creek Yacht Club is located in Vancouver, B.C. Location: 1661 Granville St, Vancouver, BC V6Z 1N3.